Palestine is one of the most important historical spots in the world. Pilgrims and tourists come to visit from all over the planet, to walk in the steps that Jesus walked thousands of years ago, to visit the stones that first Christians dwelt in and lived among, and to meet with the living stones in the land. It is indeed a big responsibility on our shoulders as native Palestinians who live in this land; we carry this big history. That’s why it is amazing that a group of people made it their main focus to tell the whole world the story of the land, but also the living stones (the people living) here. Tour guides are our story tellers. They share the historical story and connect it with our present lives for tourists who come to hear it. 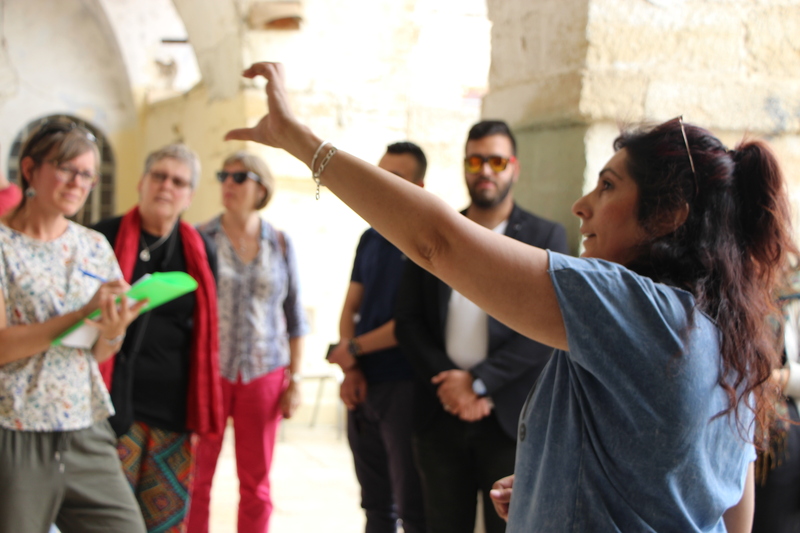 The Bethlehem Bible College Tour Guide Program began in 1998 and is considered one of the oldest Palestinian programs in tour guiding. The program exists to serve the Palestinian and international community by offering a unique Bible-centered curriculum taught in English. 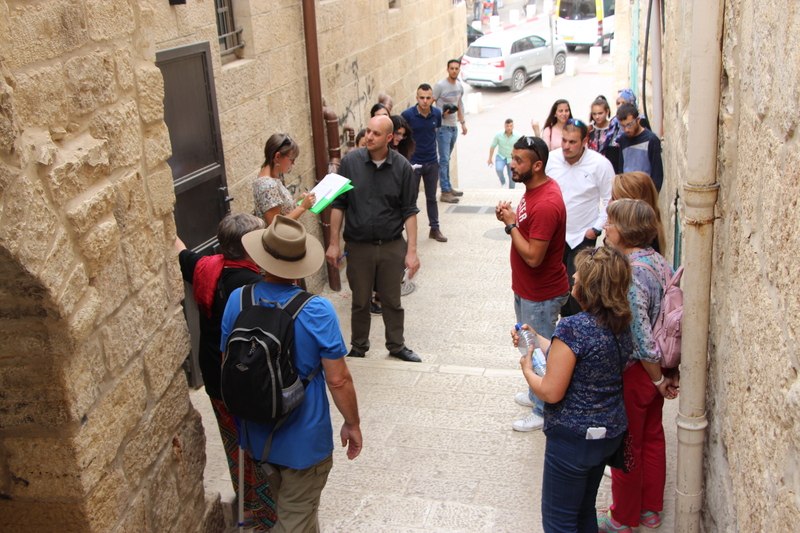 The curriculum provides professional training, education and practical preparation to tour guides for the Holy Land. Haytham Dieck, the program’s coordinator, said: “We graduated 10 groups of tour guides since the beginning of this program. Our graduates influenced the market of tourism in a very good way, and the special thing about our graduates is that they have very good knowledge in the Bible because we give them Bible-centered intensive courses”. 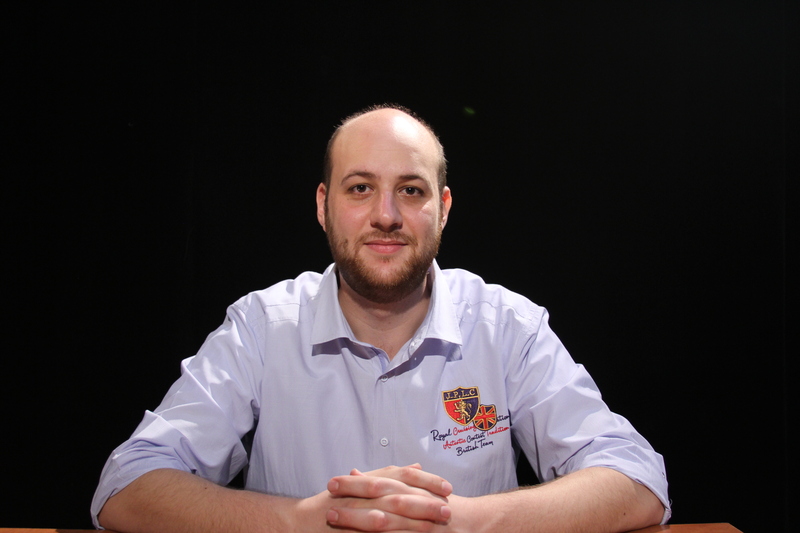 Haytham is indeed an amazing teacher and coordinator of the program. He has taken the program to much better places, and he is encouraging to his students. Haytham is well-educated and informed in this field, and because of that, he is in the process of giving some intensive courses for tour guides in Hebron upon the request of the Palestinian Ministry of Tourism. As we are accepting new students for the program by the beginning of next September, Haytham encourages students to join the Tour Guide Program. “I can promise all the students that they will finish in two years, and I promise to give you all the tools and information you need to be a very professional tour guide. This is what happened with our previous graduates (class 2015-2017): 100% of them passed the Tour Guiding Licensing Exam of the Palestinian Ministry of Tourism and Antiquities”. We are so thankful for our tour guide graduates for meeting the needs of those who visit the Holy Land by providing inspirational and informative guided tours, and for being such an amazing ambassador for their homeland! We are aiming to focus more on our students’ representational skills. It is very important to have public speaking skills of confidence when a student is taking a group around. To provide this additional training it will cost the department $1,000. We ask you to help us reach our goal by clicking on the button bellow. Kindly, make sure to designate your donation to the Tour Guide Program. Amira is the Communications Coordinator of Bethlehem Bible College. She is a committed Palestinian Christian who has a passion for writing about the intersection of faith and seeking justice for her fellow countrymen. To read more of her writings sign up for Bethlehem Bible College’s monthly newsletter. Then and Now: Visit the Ancient City of Jericho!